Sunscreen is incredibly important when you’re going out under the hot sun. Even when it’s cloudy, sunblock of some kind is important, especially for young kids and toddlers. We can’t underestimate the strength and danger of sun exposure, especially now with our thinning ozone layer. That’s why there are so many products available that you can use to protect your kids from the deadly sun’s rays. Rebecca Canon knew she needed one of them for her little baby, Kyla, who is only fourteen months old. She and Kyla were visiting her sister. It was a pretty hot day in Newfoundland, Canada, so she borrowed some sunscreen spray from her sister to use for Kyla. Rebecca browsed the label of the sunscreen first, and it proclaimed that it was meant for kids aged six months and above, so it was fine for Kyla. It was called the Banana Boat Kids Sunscreen Spray and it had SPF 50 protection. She sprayed some onto her hands first, then rubbed the spray carefully onto the cheeks and nose of her baby girl, making sure to keep away from her eyes. As the day progressed, Rebecca couldn’t help being aware of the fact that Kyla’s face was getting more and more red. The next day when she woke up, her entire face was swollen and red, and she was even getting blisters. Hurriedly, Rebecca took her to a hospital emergency room. Shockingly, Kyla’s diagnosis was of second-degree burns. Rebecca was perplexed by this revelation, as no one in the family had any signs of sunburns at all. A dermatologist was quick to uncover the likely truth behind the situation. Kyla had received a caustic burn as a result of the sunscreen she was using, meaning there may have been some kind of dangerous chemical in it. Thankfully, despite this startling diagnosis, Kyla will likely not deal with long-term issues and also does not seem to have any scarring. Rebecca decided to contact the Banana Boat company and issue a complaint regarding the ill effects of their sunscreen. The company responded by saying they take these concerns seriously and will be investigating as needed. This eventually prompted Health Canada to perform its own investigation due to an increased number of skin issue reports from the company’s sun-protection items. A wide range of different examinations, however, did not show any reason to be concerned with the sunscreen products. Unfortunately, for now, it seems like this was more of a freak incident than one that implicates the manufacturers, and it is likely that Kyla had a severe allergic reaction. If that’s the case, then how can you avoid all these issues? Your best option is to always patch test a product before using it. Babies and young children – and even adults – can have surprising allergic reactions or very sensitive skin, so testing before full coverage use is always a good idea. In America, most products for personal care are unregulated, for the most part, with the last relevant law passing way back in 1938, so patch testing is all the more crucial! Please share this to spread awareness! Drivers have a huge responsibility when they are on the road. They know this, but there are times that they don’t seem to care. This is one of the main concerns of parents when their children are leaving the house for school. Sometimes, no matter how careful they are, they would come across an irresponsible driver that can put their lives at risk. A video is going viral that gave parents a reason to worry. This is surveillance footage captured outside of the Cota-Robles house located in Gilford, New Hampshire. Two young boys are headed off to school. 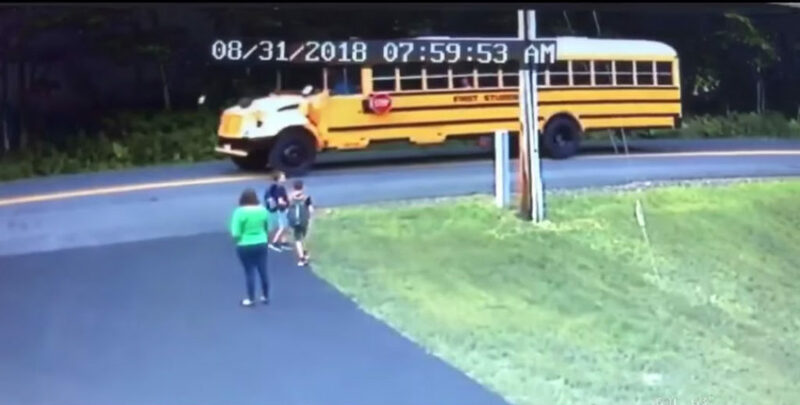 They are walking down the driveway and the bus can be seen pulling up on the other side of the road. It is clear that the bus has its stop signs out but it seems like someone didn’t see it and this almost robbed these boys their young lives! As seen on the footage, the boys are accompanied by their mom, Lindsay Cota-Robles. Once they are almost at the end of the driveway, she let her kids walk on their own not knowing that this would put their lives in danger. 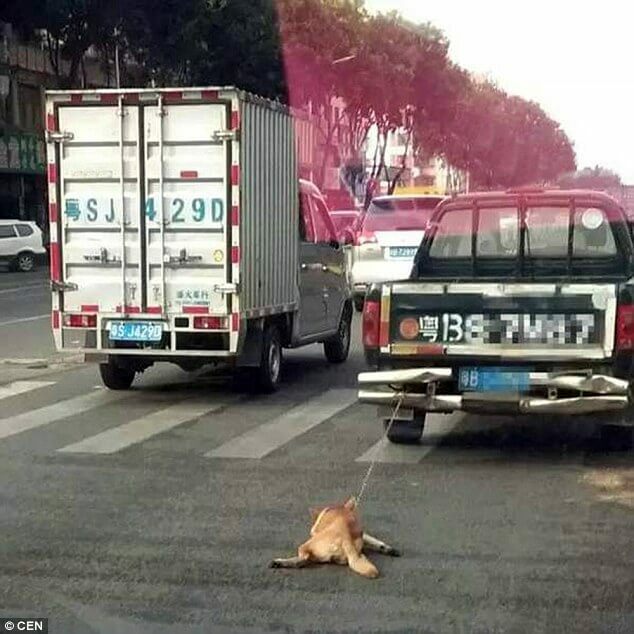 One of her sons stepped into the road when a car quickly passed by him – almost hitting him out of nowhere! If the boy took another step forward, we know that it would end into a tragic accident all because of a reckless driver who is being ignorant of his surroundings. This is the reason why school buses have a STOP sign. As soon as a driver sees it, he or she knows better than to speed up. When the school buses have the stop sign up and they are flashing their lights, the other drivers need to slow down. But the driver did the exact opposite. Accidents are preventable if drivers are being extra cautious while on the road. This kind of situation can happen to anyone. For reckless drivers, we do not have full control over that. Pretty sure they have been reminded millions of times to be careful when driving. What parents can do is to teach the kids to be safe as much as possible. Never forget to remind them every day the basics – to look both ways before you cross the road. In our end, this is the only way that we can make sure that they are safe and out of danger. 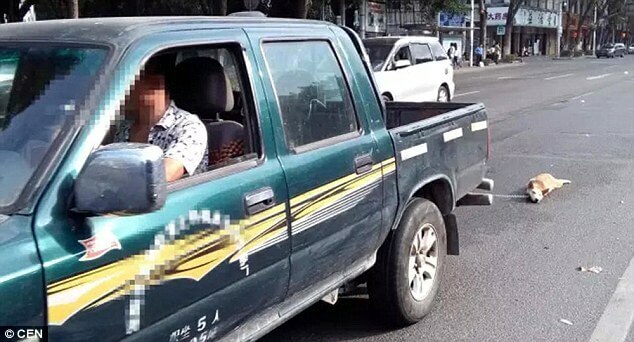 This driver definitely should not have a license to drive. We all know that driving past a stopped bus is more than just an illegal offense. It is very dangerous for our youngsters in the community. 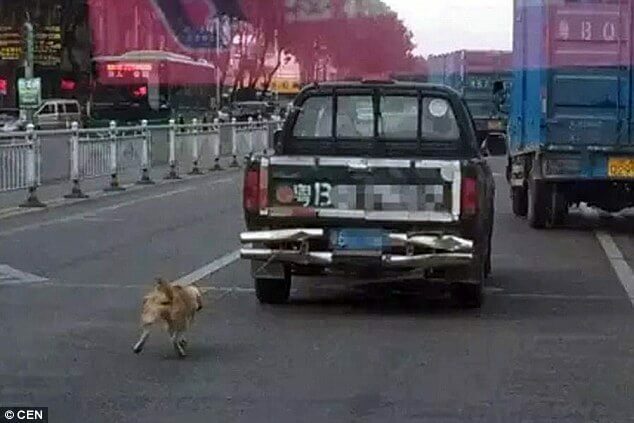 If this situation turned out badly, the driver could have ruined his own life by being put behind bars and would regret what he did for the rest of his life. One teacher made an example of a male student. Her name was Margaret Gieszinger, and she was upset about how a student was acting in class. As punishment, she called the boy up to the front of the class where a seat was waiting for him. Then she took up a pair of scissors and started to cut his hair as she sang the Star-Spangled Banner at the top of her lungs. The video was captured by another student who knew what the teacher was doing was wrong. And now that the clip has made it onto the internet, Margaret could be out of a job especially since she was arrested. 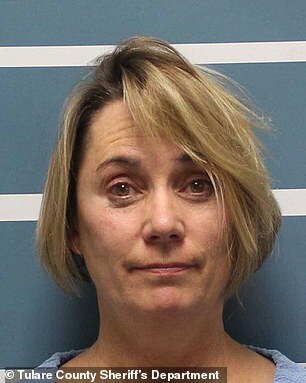 Certainly, the University Preparatory High School in Visalia, California would not want to hire her back. The College of the Sequoias police responded when they got the video footage included below. The report they received alleged child endangerment that involved Margaret using a “pair of scissors” on her student. Police chief Kevin Mizner spoke to the Visalia Times-Delta about the strange happenings in the school. When Margaret Gieszinger, 52, was arrested, she was charged with suspicion of corporal injury to a child. Her bond was set at the staggering $100,000. 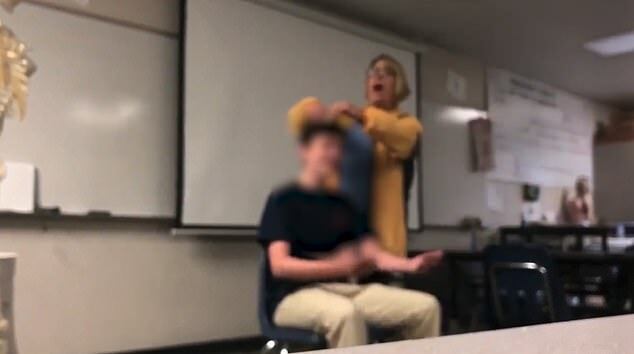 The video that you’re about to see shows the teacher, Margaret Gieszinger, forcing a student into a chair so she can cut his hair in front of the class. The video, which is definitely strange, acts as irrefutable proof that the teacher did what the students claim. Then the teacher opens her mouth and starts loudly singing lyrics from the Star Spangled Banner. With a flourish, she snips his hair and then throws the bit over her shoulder toward the wall. The video then cuts to a few minutes later when Gieszinger is running into the classroom wielding the scissors. She appears to be targeting a female student who does not want her long hair cut. 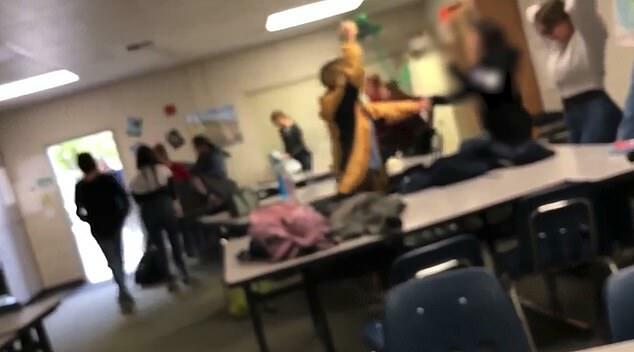 As the teacher runs around with the scissors chasing her students, children scream out of fear. The teacher continues to cry the lyrics from the national anthem as he tries to cut her students’ hair forcibly. Students claimed that Gieszinger came to the classroom with the pair of scissors ready to get to work because she said it was haircut day. This student was terrified when he watched his teacher lose control. The anonymous student ran to the office to get help. Tim Conway is known as a brilliant actor, hilarious comedian, fantastic writer, and smart director. He showed off his funny acting chops on a variety of shows and sitcoms, from golden oldies like The Carol Burnett Show to newer stints like SpongeBob SquarePants and Glee, and he brought smiles and laughs to people all around the world for decades. But behind the scenes, Conway’s health had been deteriorating. Recent court documents have revealed that the talented actor is suffering from Dementia. These documents were retrieved by news outlets when Kelly, Conway’s daughter, applied to become her father’s conservator. This decision was made because Charlene, Conway’s wife, was allegedly failing to take responsibility for this task and was not even showing interest in doing so, attempting to move him away from a good nursing facility to one that will not provide the care Conway needs. Due to his conditions, Conway requires 24-hour care, registered nurses available to assist him, and a speech therapist who can assist him in swallowing food. He was revealed to be in such a bad state that he is unable to provide for himself at all, not even able to dress himself, take care of his health, or even eat and drink. In fact, documents stated he is borderline unresponsive. Dementia is a degenerative disease that affects the brain, causing memory loss, a decline in cognitive skills and thinking, and loss of some bodily skills. This illness does not have a specific set of symptoms, but it can progress to a point where its severity affects daily life and prevents patients from accomplishing daily tasks. Conway has always loved and had a passion for the screen and the world of acting. He has accumulated a long resume. In his early days in the business, he starred in McHale’s Navy, Rango, The Tim Conway Show, The Carol Burnett Show, and Ace Crawford… Private Eye. He portrayed the hilarious Dorf in a number of video shorts, and he voiced Barnacle Boy in Spongebob Squarepants and Mulch in Dragons: Riders of Berk. Over the years, he’s made other appearances, including in On the Spot, Married with Children, Yes, Dear, 30 Rock, Glee and Batman: The Brave and the Bold. It is truly sad to see someone’s health force them to stop doing what they have loved and worked in for their entire lives. But Conway knew it was time to leave the world of showbiz when his Dementia began to progress, and as of now, the condition has become so severe that he is unable to do most things on his own. Fans of this gifted American actor are truly saddened by this news. Meanwhile, Conway’s children, Corey, Jackie, Jaime, Kelly, Pat, Shawn, and Tim Jr, are still working on reaching a legal resolution that will ensure their father receives the best level of care possible. As of right now, there are no new details that indicate who will become Conway’s conservator, and people around the world are hoping that the results will provide Conway with the best care he can receive. The island of Santorini off the coast of Greece loves the tourists who visit on a daily basis, enjoying the spectacular scenery and Greek culture of the region. But officials want them to stop harming the region’s donkeys. It’s been a long standing tradition that visitors ride up the island’s infamous steep steps carried on a donkey’s back. But most visitors don’t realize the harm they are causing these beautiful creatures. But now an animal rights’ group called The Donkey Sanctuary is calling for a ban on the use of donkeys to make this hazardous journey, saying that tourists unsuspectingly cause damage to the donkeys’ health and well-being by using them as beasts of burden. Part of the problem has been the rapid increase in tourists arriving via cruise ships who want to take part in the donkey riding tradition. People who want to participate in the donkey ride tradition usually do not realize that this over-use of their services causes such health issues for the donkeys as exhaustion, saddle sores and spinal injuries. The Donkey Sanctuary animal organization has launched a campaign called “In Their Hooves”, asking visitors to think twice prior to requesting a donkey ride up the very steep climb at Fira Port. There are other options for making the climb up the steep volcanic mountain terrain, including walking or taking a cable car. The recently launched campaign shines a spotlight on the inhumane treatment of many donkeys and mules on the island. In recent years they have been forced to carry increasingly heavy loads yet these quiet, gentle animals aren’t provided with enough shade or water throughout their day, causing a rapid deterioration in their health conditions. Last fall, the government of Santorini instituted a ban on anyone weighing more than 220, about one-fifth of a donkey’s weight, from being able to ride them. There has also been a limit placed on the number of arrivals from cruise ships visiting the island to not exceed 8,000. Cruise line association representatives have promised to distribute informational leaflets to their passengers to raise awareness about donkey abuse taking place due to the traditional steep step rides. Santorini officials say it’s not unreasonable to ask visitors to enjoy the culture and beauty of their gorgeous Greek island without harming its animal inhabitants.